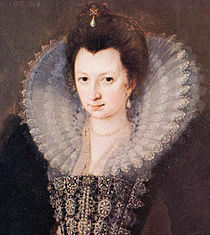 The recently discovered 74-line poem written by Henry Wriothesley third earl of Southampton to Queen Elizabeth during February-March 1601, when he was in the Tower of London facing execution, has even more extensive and profound links to the Shakespeare sonnets than previously reported. It should be noted up front that the Southampton poem (begging for the royal mercy) offers no proof that Edward de Vere earl of Oxford wrote the Sonnets; and neither does it prove that Southampton was the son of Oxford and Elizabeth. 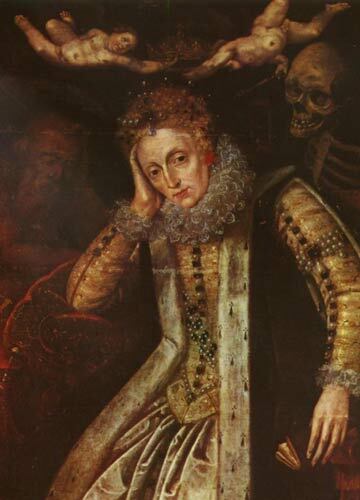 On the other hand, it does provide convincing evidence that Sonnets 27 to 66 were written during the tense time between the younger earl’s imprisonment on February 8 until March 19, by which time the Queen (and Robert Cecil) agreed to spare his life while keeping him in perpetual confinement. 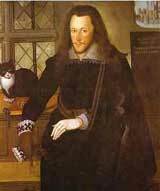 And that evidence, of course, further supports the view that Oxford wrote those sonnets to Southampton and that the central “story” he recorded involved events during the younger earl’s imprisonment. 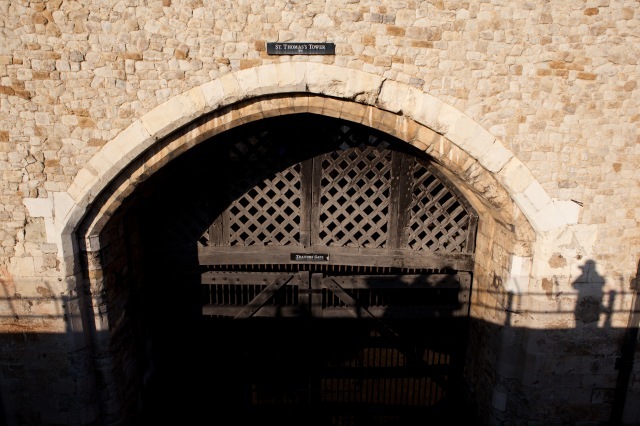 The evidence makes it extremely likely that during those first forty days and nights Southampton had manuscripts copies of some or many of those forty sonnets with him in his Tower prison room. 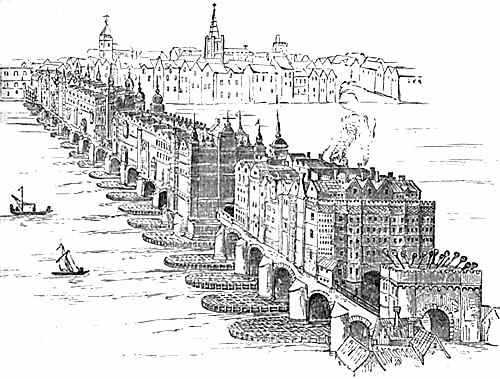 Twenty-one key words used by Oxford in Sonnets 27-66 and by Southampton in the Tower Poem are: blood, buried, cancel, crimes, dead, die, faults, grave, grief, groans, ill, liberty, loss, offences, pardon, power, prison, religious, sorrow, stain and tears. In an upcoming blog I’ll print out a near-complete list of lines from Shakespeare sonnets and from the Southampton poem that contain the same words in various forms. 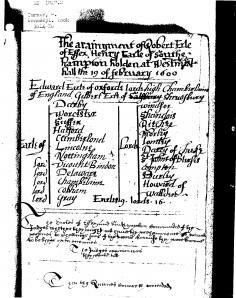 I’d like to present a document that brings together Edward de Vere Earl of Oxford and Henry Wriothesley Earl of Southampton within the context of the Essex Rebellion of February 1601 and its aftermath until the death of Elizabeth and the succession of James in March 1603. I consider it a “smoking gun” in terms of evidence of a relationship between them in connection with those events and that time period – supporting the context put forth and expanded within THE MONUMENT, my edition of the Sonnets (and its companion synopsis-volume SHAKESPEARE’S SON and HIS SONNETS, not to mention ANONYMOUS, the forthcoming movie from Roland Emmerich, due for general release October 28th. The document is Anagrammata in Nomina Illustrissimorum Heroum (1603) By Francis Davison – published online by the Philological Museum by Dana F. Sutton. The Anagrammata was a single-page broadsheet with anagrams & epigrams on the names of the following lords: Thomas Egerton, Charles Howard, Thomas Sackville, Chrarles Blunt, John Fortescue, Gilbert Talbot, Henry Percy, Edward de Vere and Henry Wriothesley. 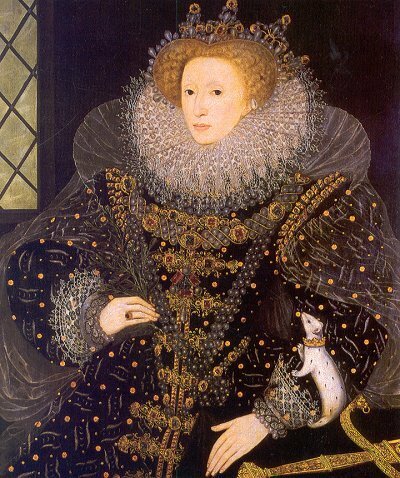 The work was compiled partially during the time of Southampton’s imprisonment in the Tower [1601-1603] and completed after the queen’s death on March 24, 1603. It was published later the same year. The anagrams/epigrams for Oxford and Southampton are presented ninth and tenth, respectively, as the final two lords. I submit that THE MONUMENT and its synopsis-book SHAKESPEARE’S SON AND HIS SONNETS contain the explanation that Professor Sutton is seeking. 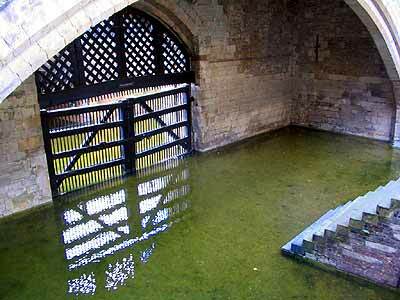 No, it’s not “proof” of the Monument Theory of the Sonnets, but there’s no question that it brings Oxford and Southampton together in connection with the post-Essex Rebellion history. THE MONUMENT attempts to demonstrate that the Sonnets tell the following story: Upon the failure of the Essex Rebellion of February 8, 1601, followed by the sentencing of Henry Wriothesley, Earl of Southampton to death for high treason, Edward de Vere, Earl of Oxford made a bargain with Secretary Robert Cecil in order to save Southampton’s life. Essex was executed six days after the trial. 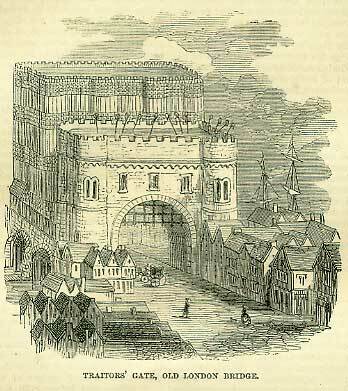 Oxford’s aim was to spare Southampton from execution and gain the promise of his release upon the succession of King James of Scotland as King of England. 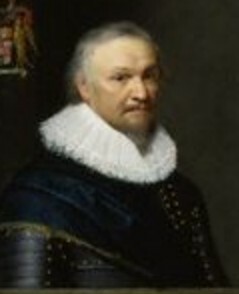 Once liberated, Southampton would regain all his lands and titles and receive a royal pardon, freeing him from the threat of being re-arrested for the same crime. But the outcome of the deal depended on Cecil’s ability to bring James to the throne, so Oxford had no choice but to help him. In effect, he was blackmailed. One way Oxford may have helped is by becoming “40” in the secret correspondence between Cecil and James, behind Elizabeth’s back. 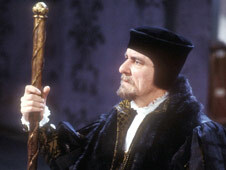 Also, shortly before the Queen’s death, he apparently acted to test Lord Lincoln’s loyalty to James. 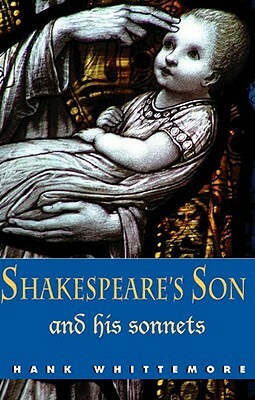 In addition, having adopted the pen name “Shakespeare” in 1593, Oxford now agreed to take another step – to bury his identity in relation to Southampton after his death and for generations to come: “I may nevermore acknowledge thee … My name be buried where my body is,” he testifies in Sonnets 36 and 72. 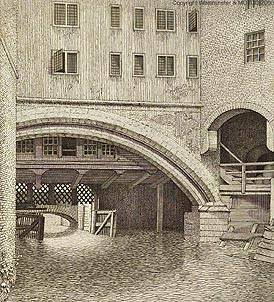 Davison was the son of William Davison, whom Elizabeth had blamed for transmitting the warrant for execution of Mary Queen of Scots. W. Davison and his family were ruined. 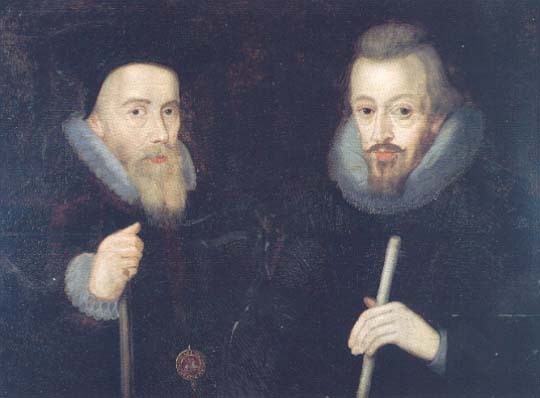 Upon the death of Secretary Francis Walsingham in 1590, Essex urged Elizabeth to name W. Davison to replace him. 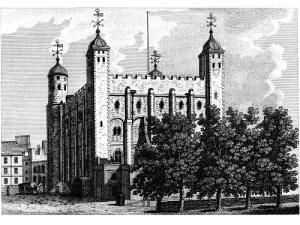 The post was left vacant until 1596, when the queen gave it to Robert Cecil. 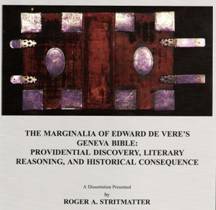 In a work in which every element has a potential or actual meaning beyond what is on the surface, Davison deliberately placed Edward de Vere and Henry Wriothesley one after the other. As stated above, such placement lends support to the theory of THE MONUMENT that, as expressed in the Sonnets, Oxford and Southampton were linked together at this crucial time. Theseus: the mythical founder-king of Athens, son of Aethra, and fathered by Aegeus and Poseidon, both of whom Aethra had slept with in one night. Theseus was a founder-hero, like Perseus, Cadmus, or Heracles, all of whom battled and overcame foes that were identified with an archaic religious and social order. 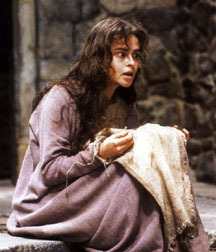 “False Accusation … Betrayed by Envy’s Whim” – perhaps refers to Cecil betraying Southampton by falsely accusing him of trying to overthrow Elizabeth and kill her. 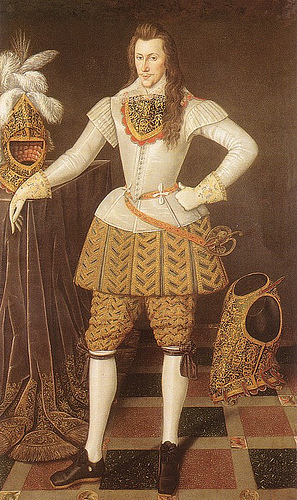 “The Heir, Wielding the Scepter of Rule” – appears to refer to King James, who ordered the release of Southampton; but, given the Prince Tudor Theory that Henry Wriothesley was the natural heir of Elizabeth and deserved to become King Henry IX, such language is certainly tantalizing and even, one might say, provocative. 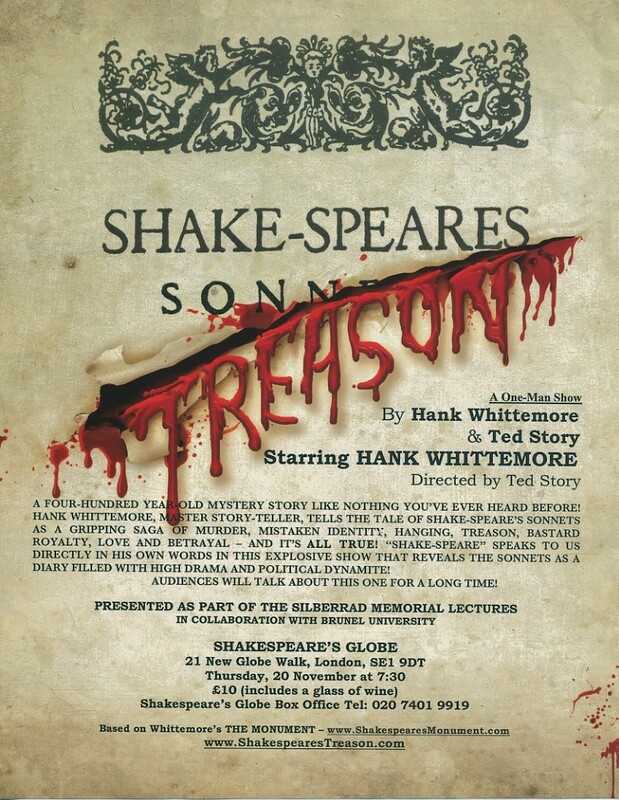 A HOLLYWOOD film that claims William Shakespeare was an illiterate buffoon who passed off a nobleman’s plays as his own got off to a wobbly start at the Hay Festival in Wales when actor Ralph Fiennes described the premise as a “dead-end argument”. 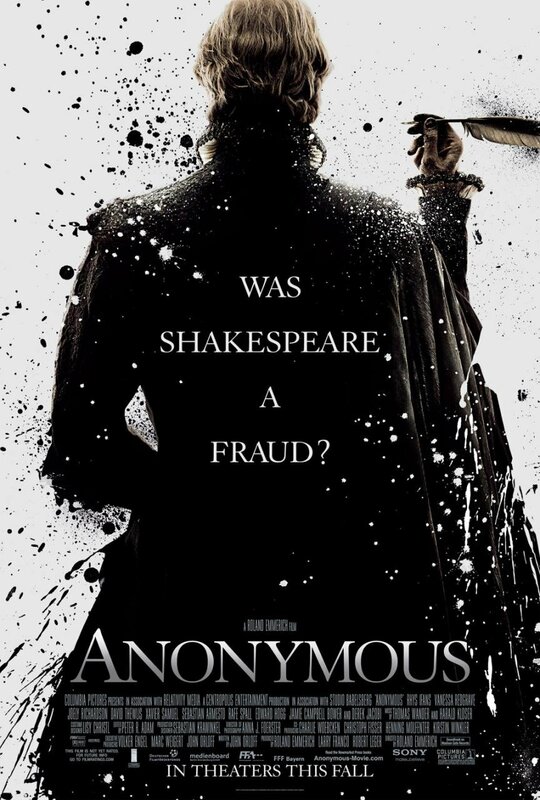 Roland Emmerich, one of Hollywood’s most successful directors, presented clips of his film Anonymous to the public for the first time at the festival and answered questions about why he chose to portray the Edward de Vere, the 17th earl of Oxford as the true author of the plays. But Fiennes, who has not seen the film, says he is puzzled by the obsession with giving credit to other authors. “Instinctively, I don’t buy it,” he says. I remember having the same reaction that Fiennes expresses. I put a lot of stock on good ol’ imagination, and still do — but when I dug a little deeper and discovered how much knowledge — and specific knowledge — gets into the plays, poems and sonnets, well, it boggles the mind and calls for some reassessment. If you go to a good library and find the Shakespeare section, my goodness it seems there’s an entire book (or two or more) devoted exclusively to Shakespeare’s handling of every single subject such as law, heraldry, music, kingship, flowers, hunting, war, ships, Italy, France, the classics, astronomy, horsemanship, fashions, the bible — I mean, we are not talking just about some “good” or even “great” author but about some kind of amazing giant of whom there may have been no equal in all the rest of history before or since. 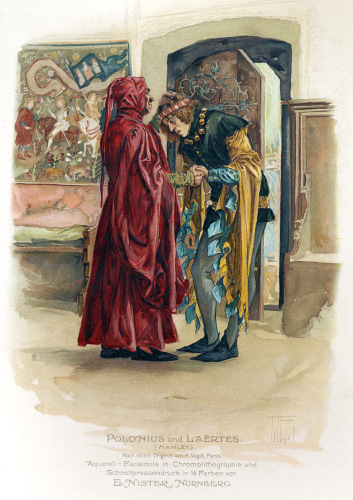 Investigation is required — or the result, which I have seen over and over, is what you might call “the dumbing down” of Shakespeare; that is, attempts to reduce him down to more normal size, so he can fit the framework of traditional biography. I am not speaking of him as a god or a miracle, but, rather, a rare human being who must have had not only “nature” on his side but “nurture” as well — and this is also not about snobbery, please, and not even about who “could” have written these masterpieces but who “did” write them. To my knowledge only two individuals during the Elizabethan age declared in writing, “I AM THAT I AM,” and apparently they did so within identical contexts: the author of Shakespeare’s sonnets and Edward de Vere, the seventeenth Earl of Oxford. The other personal use of I AM THAT I AM occurs in Sonnet 121, which follows here with my emphases on SPIES as well as I AM THAT I AM; and can’t you feel the same mind at work? The same protest … the same angry, accusing voice? God’s words to Moses “I AM THAT I AM” are in the Geneva Bible, a gilt-edged copy of which Edward de Vere had purchased in 1569/70 from William Seres, stationer; and thanks to the landmark studies by Dr. Roger Stritmatter of that same copy, held by the Folger Library in Washington, D.C., we can be sure that the earl was intimately acquainted with its passages. To put it bluntly, both Oxford and “Shakespeare” were biblical experts – one more reason why, in our view, they were one and the same. 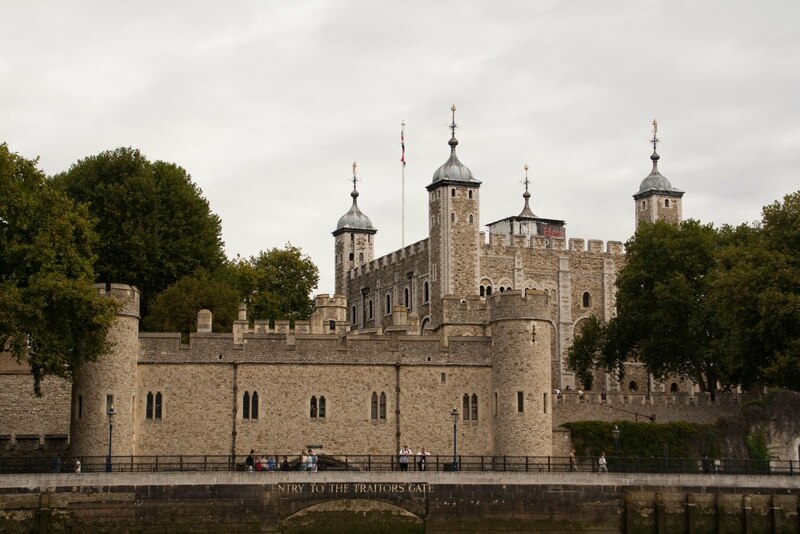 Sonnet 121 is positioned within Sonnets 107 to 126 — a sequence which, as expressed in The Monument, uses one sonnet per day from Sonnet 107 (Southampton’s release from the Tower on 10 April 1603) to Sonnet 125 (Queen Elizabeth’s funeral on 28 April 1603) and Sonnet 126 (the “envoy” of farewell). 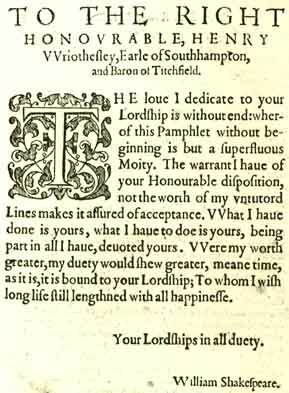 This sequence is a thundering “movement” concluding the fair youth series to/about Southampton, but in no way does it preclude Oxford having originally written Sonnet 121 at the time he wrote the 1584 postscript; the likelihood is that he pulled out this old verse to use in the final construction of his “monument” for Southampton. 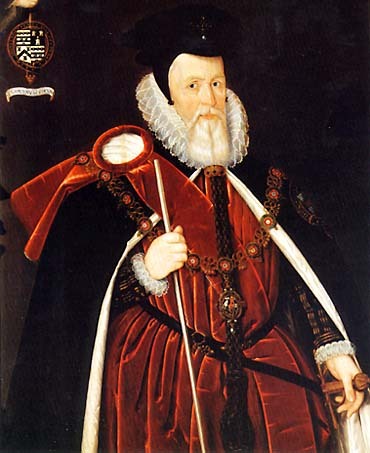 Burghley in 1584, when Southampton was ten years old: “I serve her Majesty, and I am that I am.” In reality, as father to a rightful king, he should be Elizabeth’s consort on the throne and, therefore, a king or god on earth entitled to use God’s words of self-description. 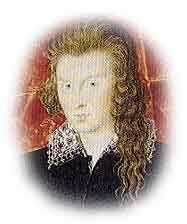 Oxford here recalls his own postscript, related to “spies” working for Burghley and poking into his personal affairs. Nearing the end of his diary, he also sums up his own life to be preserved in this monument. WHEN NOT TO BE, etc. 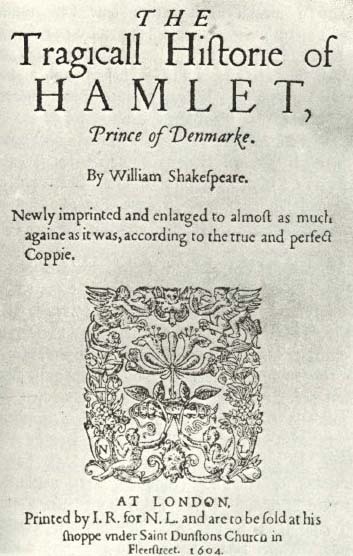 = when not actually wicked but blamed for being such; NOT TO BE = the other half of “To be or not to be,” the soliloquy of Hamlet, its full version to be published in the next year, 1604. 4 NOT BY FEELING BUT BY OTHERS’ SEEING. imitate his cheek” – Sonnet 67, line 5; “Simply I credit her false-speaking tongue” – Sonnet 138, line 7, referring to Elizabeth; 6 GIVE SALUTATION TO MY SPORTIVE BLOOD? OR ON MY FRAILTIES, etc. 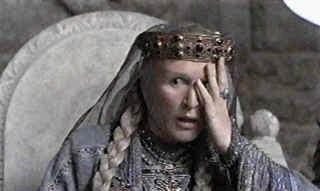 = why do weaker people look on my weaknesses; “Frailty, thy name is woman!” – Hamlet, 1.2.152, another indication that Oxford is revising that play at this time (see lines 1-2 and 8); FRAILER = lack of royal blood, i.e., less royal than my son, i.e., Robert Cecil, but even King James is less royal by blood than Southampton; SPIES = William and Robert Cecil both relied heavily on spies to assist them in running the government; recalling the spies Rosencrantz and Guildenstern, hired by Polonius-Burghley. 8 WHICH IN THEIR WILLS COUNT BAD WHAT I THINK GOOD? 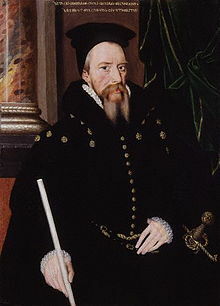 – Oxford writing to his father-in-law William Cecil Lord Burghley, the most powerful man in England, on October 30, 1584 – in a postscript in his own hand, when Southampton was ten years old and a ward of the Queen in Burghley’s custody. Oxford was complaining about Burghley planting servants to spy on him (see “spies” in line 7 above); and in passing he angrily (and indirectly) reminded him that he, Oxford, was the father of a royal son and virtually a king entitled to be Elizabeth’s king-consort. I, most in mirth, most pensive sad. This is I, Hamlet the Dane! 14 ALL MEN ARE BAD AND IN THEIR BADNESS REIGN. 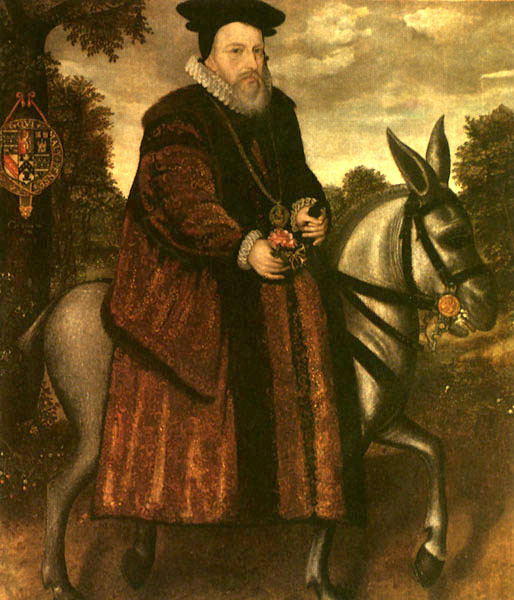 Southampton commissioned this portrait of himself in the Tower after his release by King James in April 1603.
picture on its head, reverting back to line 1; so it’s better to be a real king, i.e., one with true rights, than just to be esteemed as one; and if his son is regarded as un-royal, then he should “reign” as king anyway); the new ruler is King James, along with Robert Cecil; and they are reigning over England in all their evil or badness; REIGN = the final word of the sonnet, emphasizing the true nature of the verse as political and related to the issue of whose reign it should be.